Some of your neighbors tend to be real pests. It seems that they never go away for any length of time. At least not as long as you would like them to. That’s not a nice thing to say. However, in this case, it’s true. Spend any time near the water, and you will notice these pesky neighbors. 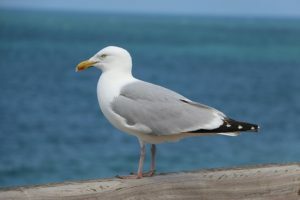 In this article, we discuss your neighbors, the Gull family, and the other residents that populate the waterfront and won’t go away. These neighbors have a habit of partying and being very noisy. They also use any open places like a kitchen table and worse yet, as a bathroom. They love docks, boats or canopies In particular. Chances are you may have encountered these resident birds or at least evidence of their presence. It seems the only way to keep them off your property is by running around and waving your arms. Spouting babble helps too. (P.S. Your neighbors love watching you do that.) However, you may have also noticed that this action is limited in effectiveness. The seagulls and geese will move away and then return when you stop harassing them. Sea gulls are protected by law. Meanwhile, you have to deal with the mess in the form of leftover food and debris. Incidentally, that debris can contain over 60 diseases as noted in this ARTICLE. That’s 60 diseases that you, your children or grandchildren are then exposed to unnecessarily. 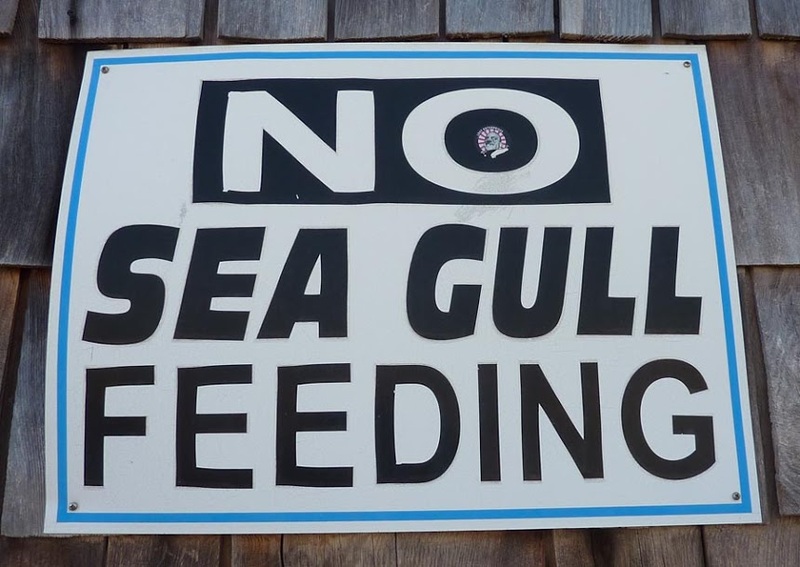 The FIRST step is to follow this rule: NEVER feed the gulls. Don’t leave any food where they can see it. Yes, they will get friendly with you if you feed them. You could also become the next “Birdman of Alcatraz.” However, do you want that? The result will be that the sea gulls will gather on your dock every day waiting for food. Like an unwanted guest, they will spend the nights eating and p__ping on your canopy, boat or dock. Sometimes they will even bring their own food, which is nice for a guest to do. However, the mess they leave behind is NOT so nice. 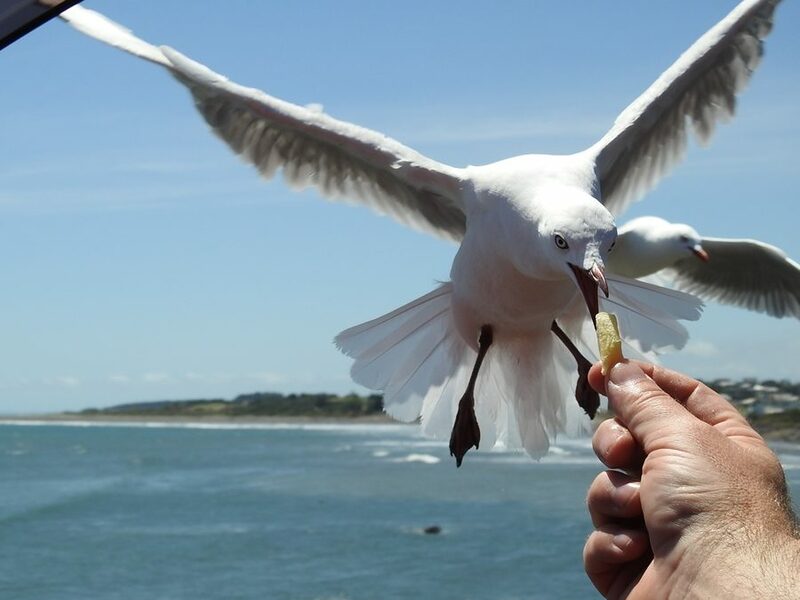 So how do you get rid of the gulls or better yet – prevent them from coming in the first place? 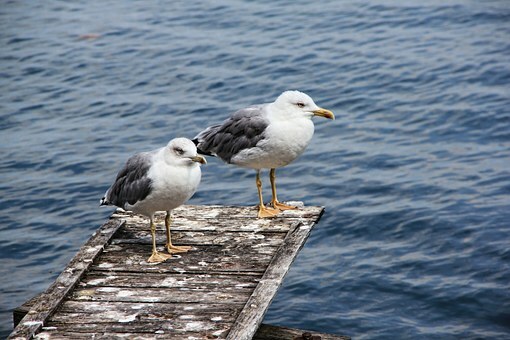 Hint: Did you ever notice that the sea gull family seldom ventures under trees or in areas that are not open. Read on to find out why this is. Let’s start with entanglement. A sea gull fears anything that will restrict their flight. Entanglement is the worst thing that can happen to them. Freedom to fly is their primary means of avoiding danger. If they can’t spread their wings without interference, they can’t escape the threat. They also fear the erratic movement. Sea Gulls want peace and quiet just like you do. The pendant or flag deterrent from Dori Pole® is considered one of the most effective systems available. This system was developed initially as an advertising method at festivals as the flags stood high above crowds and due to their bright coloration and versatility caught the eye. People noted that the birds tended to avoid the areas in which they were in place. The pendant or flag style of deterrent is a very versatile system. The pendant attaches to the end of a very long pole. 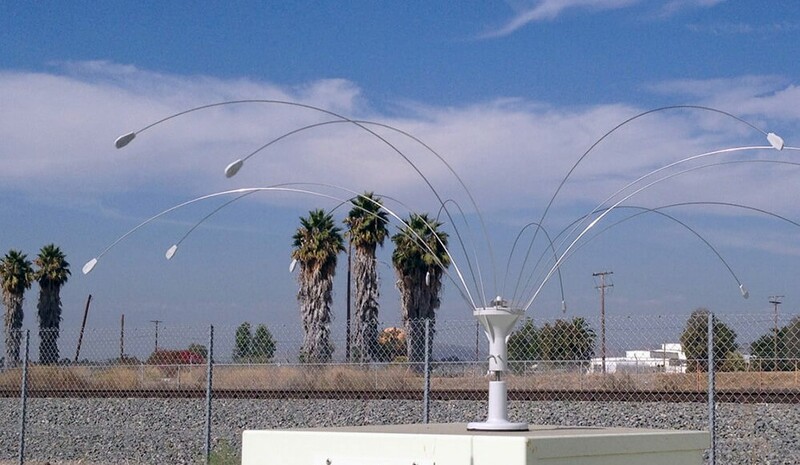 The pole is mounted anywhere that it can be secured and allowed to move with the winds. The combination of movement and the risk of entanglement helps keep the sea gulls away. It also allows visitors on boats to find your place. Another system from Gulls Away® uses transparent fishing line strung over the top of your lift canopy to prevent the gulls from landing. It works great on the side of the dock too. Set one or more lines in the 12″ – 18″ range above the dock edge. Sea gulls use infrared vision, and the thin lines stand out brightly, day or night, and present an entanglement for them. This system is useful, and you are probably familiar with its design. The system attaches to the uprights of your lift and extends out over the top of your canopy. It can be placed on a dock also. Gulls Away® is designed specifically for your boat lift. They attach to the frame itself and are not intended for your dock or other applications without modified mountings. In this respect, the Dori Pole® wins the race. Other approaches to the sea gull problem use wind action to create movement and thus scare away the offending birds. Bird Spider – 360 consists of paddles set at the end of steel rods that spin on a central axis. After years of arm waving, one of the most effective methods of deterring the gull is still “motion.” Geese and sea gulls are skittish. They do not like the erratic movement. They tend to shy away from areas in which there is any movement. So, a moving system is your best bet. The swiveling system, Bird Spider – 360, employs the wind to rotate its lateral arms and thus create the necessary movement to frighten any offending birds. It’s available from 2 ft up to 8 ft dimensions. Theoretically, this movement will also scare them away as they fly over looking for a nice quiet place to land, like your dock or your canopy. It will connect to round or square frames and comes as a set of two, with six extension arm and paddle assemblies. Given the mechanical nature of its design, (screws, pivot points, using natural elements, i.e., the wind, to move the arms) it is prone to vibration over time. This vibration has been known to cause the set screws to fall out allowing the extension arms to detach. Another issue is that the vibration can cause paddles to twist and stop turning or sag to rub the canopy itself. With paddles, this is not a problem. However, it should be noted that these developments are a result of time; the system is effective but may not last as long as other systems. Suggestion: apply Elmer’s glue to the set screws to prevent movement. A small dab is all it takes. What works to deter a Sea Gull? Every “solution” has benefits and detriments. Some people are happy with “in motion” designs while others prefer the “static” design. The “in motion” deterrents are both encumbered by the same thing when there is no wind their motion either diminishes significantly or stops altogether, eliminating their effectiveness. The static system, however, produces no motion so according to the formula “motion equals deterrent” this system finds fewer adherents, as it does not necessarily keep the birds from flying over and messing up your canopy. The other significant difference is versatility. Keeping birds off of your lift, dock, and waterfront is something that nearly everyone can get behind. The systems we have discussed are designed to accomplish this. The choice of which method will work best for you is largely dependent on preference. Each of these systems has specific qualities that will appeal to different people in different ways, and in the end, the look of a system is as important as its functionality. Do NOT feed sea gulls. 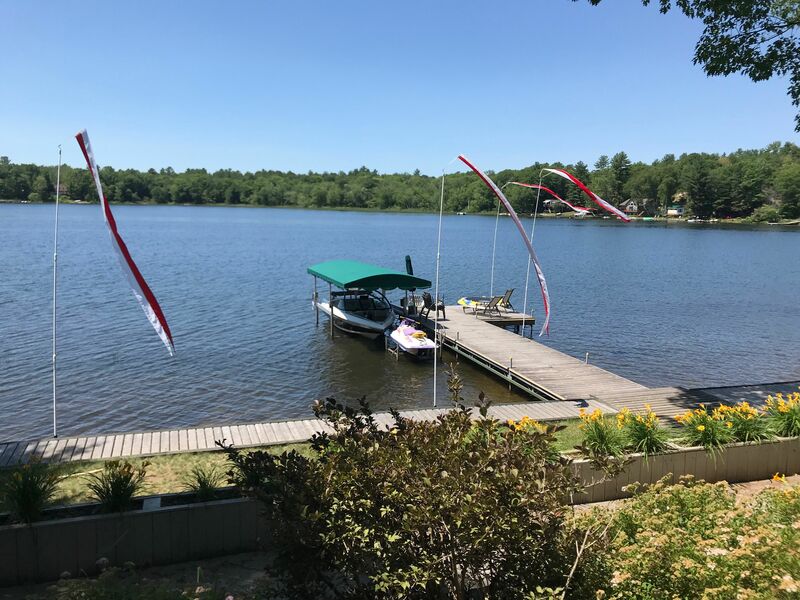 Start early in the season with your deterrents, so they aren’t allowed to get into the habit of landing on your dock or canopy. In a future article, we will discuss options for discouraging spiders and bees. Do you have a friend that may be interested in this information? Please share a link to this page with them.